Maryland House of Delegates candidate in District 29A Roberta “Robbie” Loker is hosting a canvassing kickoff and training session Aug. 30. The session for campaign volunteers will be held at Christ Church from 7 to 8:30 pm Thursday, Aug. 30, 2018. The church is at 37497 Zach Fowler Road in Chaptico. Ms. Loker is excited to get out and talk to the people of District 29A. As the campaign for delegate moves forward, Ms. Loker is looking for people who believe in the vision she has for northern St. Mary’s County and want to see positive change! If you are interested in volunteering or hosting a house party, please join the group of volunteers at the Aug. 30 kickoff event or email erin@voteloker.com. Ms. Loker is a Southern Maryland jewel. Her years spent managing programs to strengthen families and individuals in St. Mary’s, Charles, and Prince George’s counties Departments of Social Services provided keen insight into the cumbersome bureaucracy of Maryland government. Working in the mortgage industry, she sees first-hand the struggles families face to achieve and maintain home ownership. She has spent her life serving the community both in professional and charitable roles. She currently lives in Chaptico with her husband Keith and their rescue dog Sammy. 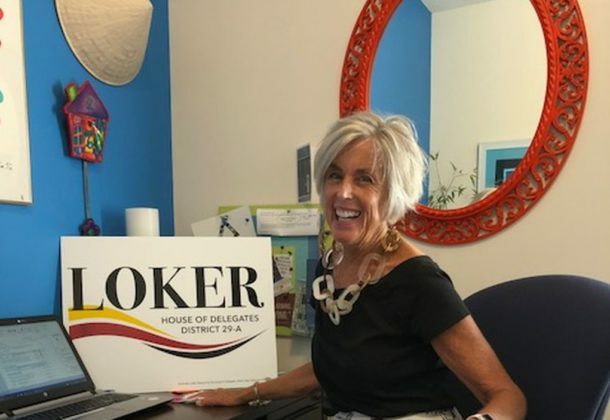 Please make sure to follow Ms. Loker’s Facebook page for updates on events, volunteer opportunities, online townhall sessions, as well as updates on platform positions. Learn more about Robbie Loker’s campaign for Southern Maryland’s Delegate District 29A on her Leader Member Page. Authorized by Loker, Roberta for the House of Delegates, Keith Loker, treasurer.